You can make savings of up to 65% by pre-booking your car parking with Airparks. Choose from a variety of services all tailored to suit your needs. Manchester airport parking has never been easier with a huge range of options on offer to choose from. The large number of car parks, means that the prices are competitive and there is something suitable for all parking needs. Booking your parking for Manchester airport online in advance can save you up to 65% off the on-gate parking price, whereas just turning up could see you paying up to £30.00 a day. When you book parking at Manchester airport with us, you can be assured of the highest quality for the lowest prices, which is why Airparks are happy to offer a best price guarantee on all of our airport parking. Don't worry though, we still offer fantastic Manchester Airport parking from the Mid Stay car parks, the JetParks car parks or treat you can treat yourself to the luxury of Meet and Greet parking. What do I need to know about parking at Manchester Airport? There are car parking options serving all 3 terminals. On-airport car parks are generally situated near to the airport terminals, so there is usually minimal distance to travel. Although this is generally the case, we recommend you do check this before making your booking as some on-airport car parks do require you to take short transfers. You should also look into off-airport car parking near Manchester airport, as quite often the prices are cheaper and the transfer times comparable to the on-airport transfer times. For example, APH is only a 5 minute bus ride away but is classed as off-airport and priced accordingly. We also offer a variety of Manchester airport hotels with parking for those wanting to park and stay. If you are looking for cheap airport parking in Manchester, off-airport parking is the best route to bigger savings. Just a few miles from the airport and a short transfer ride away, you can easily pocket more pounds compared to booking on-site parking for the sake of a few extra minutes on a free bus. We offer a variety of on-airport parking services to make your journey as efficient as it can be. Whether you are looking for the cheapest Manchester airport parking, or the most convenient, parking near to the terminals lets you relax knowing that you are just metres away from departures or arrivals. Choose one of our park and ride services offering just a 5 minute transfer which is much quicker than the 15 minute off-airport transfers. For added convenience, you could opt for the multi-storey option and be within walking distance of your terminal. Feel like a VIP and save time by choosing one of our Meet and Greet parking at Manchester airport options. You will be met by a uniformed chauffeur at departures who will help you unload your luggage so you can head to check-in without a hitch. Then they will drive your car to a secured location where it will stay until they meet you at arrivals upon your return. For some added luxury, upgrade to VIP Valet Parking at Manchester airport: as well as the usual meet and greet service, you will also gain access to the fast lane through security, it's the ultimate time saver. The multi storey car parks at Manchester airport are ideal for convenience as they are all within walking distance of their terminals. 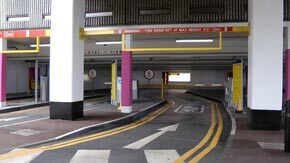 Parking at Manchester airport t1 multi story is excellent for long stay or weekend parking with no need for a transfer. When parking at Manchester airport t2 multi story you couldn't be in a more convenient location as you are just a short sheltered walkway from your terminal. Manchester airport t3 multi storey parking is made stress free as you are parked right next to the terminal and can take just a short stroll to check-in. You can park your car at Manchester airport in one of the multi storey car parks feeling safe in the knowledge that it is secured, safe and perfectly situated. The Meet and Greet services operate at all 3 terminals, which is great for those who want to take the stress out of traveling. You will be met at the airport by a professional chauffeur before heading straight to check-in whilst your parking is done for you. Save even more time on your travel and feel like a VIP by booking the 'Plus' service, gaining entrance to the fast lane through security. There's not a huge deal to choose between these options besides a few smaller details regarding their processes, such as the Manchester Meet and Greet operating from the Short Stay car park. We recommend you take a closer look at the ones that meet your price point to see which suits you best. There are many options available to you when looking for car parking at Manchester Airport terminal 1. If you are looking for on-airport parking there is something to suit all budget types and is perfect for those who want to park as close to the airport as possible. Most of the transfers take just 5 minutes with the exception of Jet Parks which is slightly longer at 5-10 minutes and the multi-storey is within walking distance - talk about convenience. If you want to save money, parking off-airport can give you the biggest savings with comparable transfers to the on-airport times, for example APH transfers take just a mere 5 minutes. When looking for airport parking at Manchester terminal 2 there are plenty of options. If you're looking to park close to the terminal then on-airport parking is ideal. Short transfers of just 5 minutes, for example the Long Stay Manchester Terminal 2, and the multi-storey which is within walking distance, make parking close to terminal 2 a speedy option. Off-airport parking near Manchester airport can be the biggest money-saver with transfer times to the terminal not much longer than those provided by the on-airport car parks. For instance Toad Parking has a transfer time of just 5-10 minutes making it comparable and often cheaper than parking on-site. When looking for parking at Manchester airport terminal 3 there is something to cover all your parking needs. On-airport parking is perfect for those looking to save time by parking close to the terminal. You can either walk to the terminal by choosing the multi storey or take a short transfer ranging between just 5 to 10 minutes. Quite often the cheapest parking is off-airport parking. The quick transfers to Manchester airport terminal 3 are barely a compromise verses the on-airport parking, for example when parking with APH you can catch a quick 5 minute transfer to the airport at bargain prices. Before setting off on holiday, you need to know how to get there. You can access the airport via road or rail and directions to all car parks are provided on your booking confirmation. Take a look at the map below, or for written directions take a look at directions to Manchester car parks. Always had great service from AirpRks but on this occasion it was very poor. Booked â€˜meet & greetâ€™ at Manchester. Arrived 2 hours before our flight only to have to queue for 50 minutes to book the car in. They said itâ€™s due to work they are having done. As this work has been going on since January and wonâ€™t be completed until July 19 I feel we should have been informed and we would have arrived earlier. Easy parking and right at the terminal, no buses with cases everywhere. So easy to exit airport on return. Easy system to book,pay and park. Right on the terminal and also got fast track security. To read through our complete archive of reviews from our Manchester airport parking customers, click here. When going away you can tailor your holiday to suit your needs. Forward preparation can ensure that your holiday runs as smoothly and stress- free as possible. Before booking any trip away you need to consider your travel requirements, and if there is any way you can make your trip easier. If you are traveling with children for example than you may want to look into what parking facility is the best value or the most convenient. People traveling with oversized luggage like sports equipment may want to look at the meet and greet service as some transfer buses do not permit larger luggage. For assurance on our great products and services you should take a look at our page: why book with Airparks. You can be certain of the best value for money and high quality with our best price guarantee. Once you're at the airport, we want your experience to be as easy and as enjoyable as possible. You can look at the step by step passenger procedures before boarding so you know exactly what to do on your arrival. Once you're there, your holiday has begun so why not have a look around and get those last minute holiday treats in the Manchester Airport shops. The best way to save money is to book early. You can save up to 65% off on the gate prices by booking as far in advance as possible. If you do leave it too late, it's better to check out the last minute parking deals as it will still be much cheaper than just showing up. If you are looking for the best price, off-airport is by far the biggest money saver. 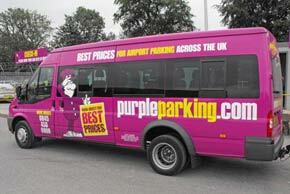 You can sign up to the Airparks newsletter on our homepage to receive Manchester parking deals. The fortnightly email offers 10% off a variety of Airparks products. Make the most out of your holiday and money by reading our top tips page. You can start your holiday early by booking one of our Manchester Airport hotels with Airparks. Great if you have an early flight, or just want to add an extra days break to the beginning or end of your holiday. You could even book your hotel and parking as a single package to save time. If you're looking to relax away from departures, you could book the airport lounge and escape the hustle and bustle to unwind before your flight. Take a look at the additional services that are available like lounges, travel insurance or car hire to make your holiday as enjoyable as it can be. For more information, check out our frequently asked questions page. If you have any other queries please do not hesitate to contact us. If you are driving to the airport, an airport hotel with parking is a great way to travel.